Home Education Did you know this about Srila Prabhupada? Do you know that His Divine Grace A.C. Bhaktivedanta Swami Srila Prabhupada is the only person in the known history of this planet to bring pure Vedic knowledge to every corner of the world? One may question – what about the other yogis and swamis who also went to the western world in the past? With due respect for other contributors, there is a gulf of difference between making a few followers and making a cultural revolution. 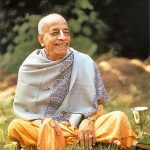 When His Divine Grace A.C. Bhaktivedanta Swami Srila Prabhupada entered the port of New York City on September 17, 1965 few Americans took notice — but he was not merely another immigrant. 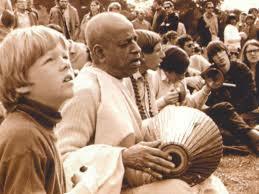 He was on a mission to introduce the ancient teachings of Vedic India in mainstream America. 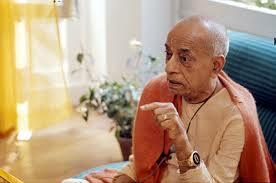 Before Srila Prabhupada passed away on November 14, 1977 at the age of 81, his mission proved successful. 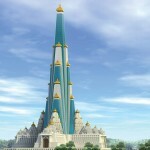 He had founded the International Society for Krishna Consciousness (ISKCON) and saw it grow into a worldwide confederation of more than 100 temples, ashrams, gurukuls, farm communities, and cultural centers. Over five hundred years ago, Lord Sri Krishna appeared as Chaitanya Mahaprabhu in Sri Mayapur, Navadvipa, a village in West Bengal. The purpose of His appearance was to inaugurate the Sankirtan movement, the Yuga Dharma for this age of Kali knows as Kaliyuga. He declared that the chanting of His holy names would spread beyond the shores of India to every town and village in the world. He predicted that His commander-in-chief would appear to accomplish this mission. Srila Prabhupada was that same commander-in-chief, the senapati bhakta, who appeared to fulfill this prophecy. Srila Prabhupada was born Abhay Charan De on September 1, 1896 to a pious Hindu family in Calcutta. As a youth growing up in British-controlled India, Abhay became involved with Mahatma Gandhi’s civil disobedience movement to secure independence for his nation. It was, however, a 1922 meeting with a prominent scholar and religious leader, Srila Bhaktisiddhanta Sarasvati, which proved most influential on Abhay’s future calling. Srila Bhaktisiddhanta was a leader in the Gaudiya Vaishnava denomination, a monotheistic tradition within the broad Hindu culture, and asked Abhay to bring the teachings of Lord Krishna to the English-speaking world. Abhay became a disciple of Srila Bhaktisiddhanta in 1933, and resolved to carry out his mentor’s request. Abhay, later known by the honorific A.C. Bhaktivedanta Swami Srila Prabhupada, spent the next 32 years preparing for his journey to the West. In 1965, at the age of sixty-nine, Srila Prabhupada traveled to New York City aboard a cargo ship. The journey was treacherous, and the elderly spiritual teacher suffered two heart attacks aboard ship. Arriving in the United States with just seven dollars in Indian rupees and his translations of sacred Sanskrit texts, Srila Prabhupada began to share the timeless wisdom of Krishna consciousness. His unshakable faith in the words of his spiritual master was his most important asset. 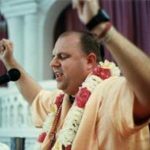 His message of peace and goodwill resonated with many young people, some of whom came forward to become serious students of the Krishna tradition. With the help of these students, Srila Prabhupada rented a small storefront on New York’s Lower East Side to use as a temple. 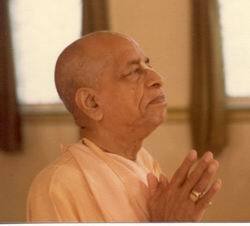 On July 11, 1966, he officially registered his organization in the state of New York, formally founding the International Society for Krishna Consciousness, ISKCON. Srila Prabhupada inspired his scientist-disciples to introduce a higher-dimensional theistic paradigm in modern science, thus inaugurating a historic new chapter in the revival of Vedic science in modern times. Srila Prabhupada was the greatest cultural ambassador of India to the world. Srila Prabhupada’s vision was a global East-West synthesis. Just as the lame man, if carried by the blind man, can guide the latter, he felt that if the materially wealthy but spiritually blind West, especially the United states, and the spiritually wealthy but materially lame India joined forces, the combination together would usher in an era of real peace and prosperity all over the world, He therefore trained thousands of disciples from varying backgrounds in the Vedic way of life He also took India’s cultural and religious festivals to the West, especially the Ratha-yatra festival, which has now become a major event in over 75 cities worldwide. The international cultural centers in Sridhama Mayapur, Vrindavana, Bombay and many other places are also a manifestation of this principle. Over and above all his other activities, Srila Prabhupada’s most significant contribution is his books. He authored 70 vol¬umes of authoritative translations, commentaries and summary studies of the philosophical and religious classics of India. His ‘Bhagavad-Gita As It Is’, an extensive translation and commentary on the Bhagavad-gita, has become the most widely read edition of the Bhagavad-Gita in the English language. 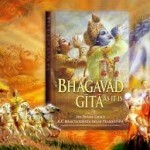 With over twelve million copies in print, ‘Bhagavad-Gita As It Is’ has been translated in over fifty languages. His life’s masterpiece, however, is a multi-volume commentated translation of the eigh-teen- thousand-verse Shrimad-Bhagavatam. Recognized by the academic community for their authority, depth and clarity, his books are used as standard textbooks in numerous college courses. They have been translated in over fifty languages and constitute a veritable library of Vedic philosophy, religion litera¬ture and culture. The Bhaktivedanta Book Trust (BBT), the publishing house that he founded, has become one of the world’s leading publishers of books in the field of Vedic spiritual knowledge. Srila Prabhupada was not just a great scholar, however; he was, first and foremost, a pure devotee of Lord Krishna, motivated by no desire other than to offer the greatest spiritual gift of devotion to Krishna to all human beings, seeing them as the lost children of Krishna. Seeing that people were chasing after material pleasures, being unaware of the sublime spiritual happiness that was available in devotional service to Krishna, he endeavoured tirelessly to distribute the treasure of spiritual wisdom to everyone and thereby remove their poverty of knowledge. Thus, Srila Prabhupada spread the light of genuine spirituality amidst the darkness of materialism and built a house in which the whole world can live. His vision was much beyond cast ism, nationalism and any other isms. 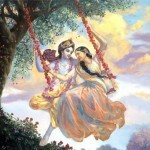 His message was purely spiritual and transcendental to the mundane world. This makes him different from any other religious or spiritual leaders of the past and the present. The history of the world will remember and thank him for his incredible contribution to the humankind. Previous articleFinancial security – Are we joining the bandwagon?